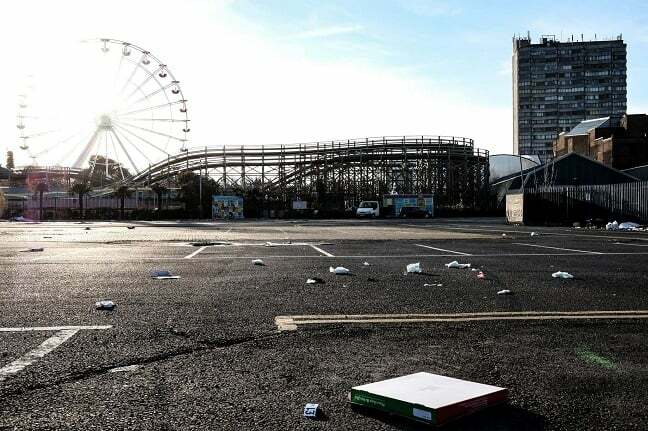 Thanet council says it is pursuing enforcement action against a Traveller group which left tonnes of rubbish at the authority owned car park next to Dreamland. 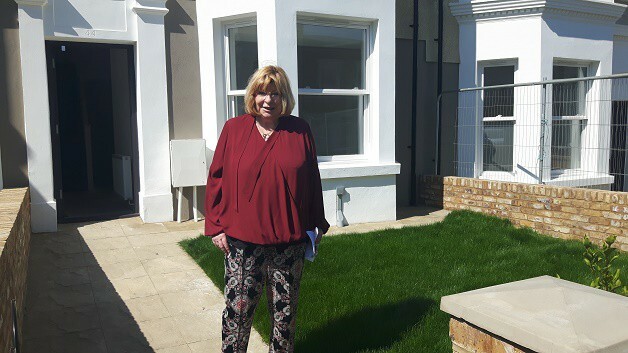 The group, that had been at the Margate site since January 4, were evicted yesterday (February 11) after a court order for removal was ignored. There were around 26 caravans at the site according to residents whose properties overlook the area. 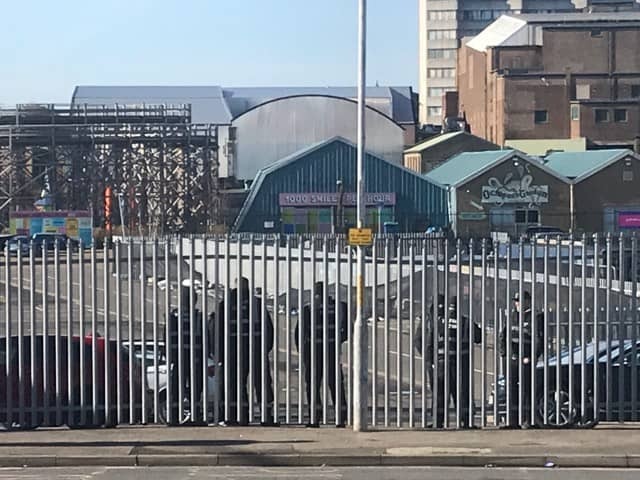 They left following the arrival of enforcement officers but travelled directly to Marina Esplanade in Ramsgate, followed by police and enforcement officers. There are also caravans at the Manston airport site with fencing being removed at the Minster end to allow access. Thanet council may now have to begin the entire removal process again. The authority says it will pursue criminal charges. 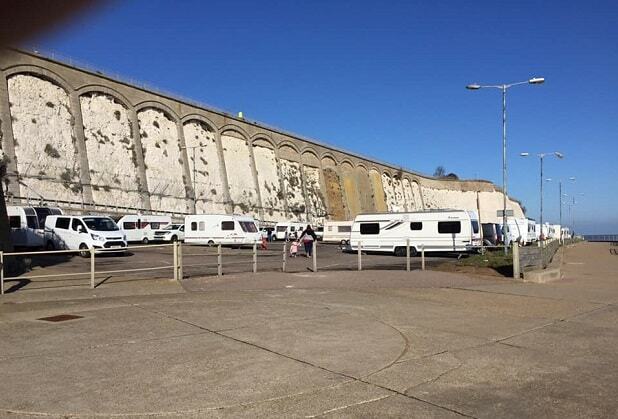 Cllr Lesley Game, Thanet District Council Cabinet Member for Safer Neighbourhoods, said: “The behaviour of the Traveller group that has just been forcibly removed from the Dreamland car park is symptomatic of why many residents are unsympathetic. 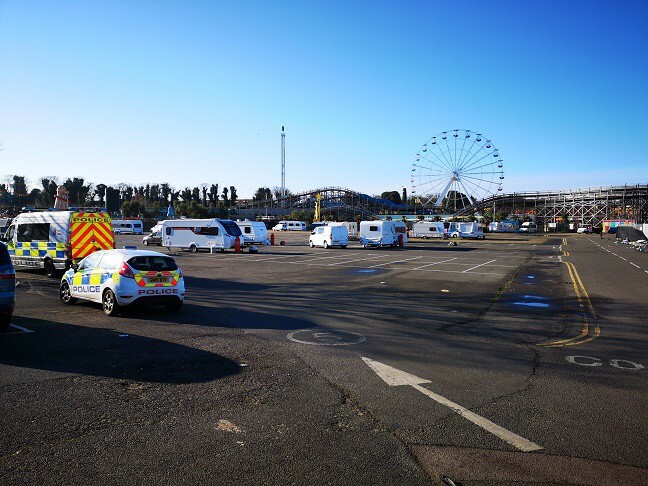 “The large group of vans and caravans created tonnes of unsanitary household waste within a matter of days – all of which our street cleansing officers have had to clear. There has also been extensive fly tipping, everything from rubble and broken toilets to kids’ scooters and bikes – all just dumped without a care. “As a district we should not have to spend our limited resources picking up after a group of people who have no respect for the community and environment. We are using all the powers available to us to ensure that enforcement action is taken and that these acts of fly tipping are dealt with. We will pursue anyone who commits criminal offences. 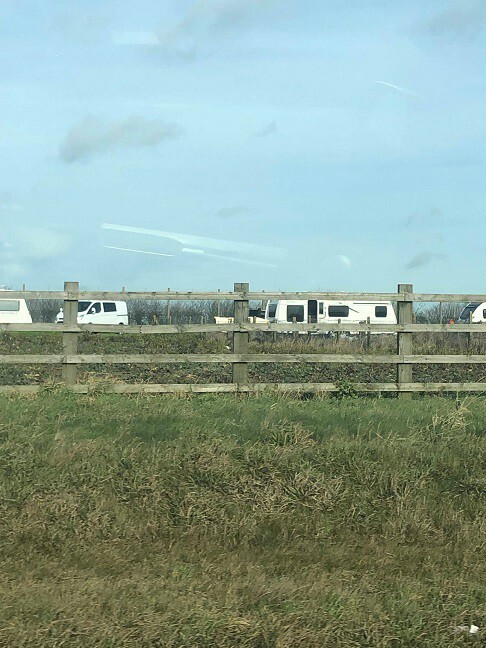 A spokesman from the Friends, Families and Travellers organisation said a lack of official sites is forcing groups to pull up on public land and not enough is being done to address that issue. Constructive comment Andy . You should go and join the rubbish on site and get taken to a landfill . It’s about time the council / police clamped down on them. 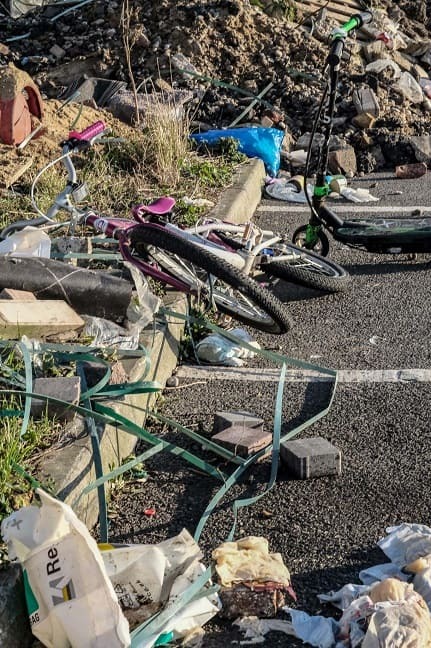 Disgusting lot they do it where ever they go they fly tipped in millennium way Broadstairs leaving human waste and plies of rubbish rubble and asbestos behind. Why should they be rewarded by giving them land to set up camp. Their vehicles should be impounded until they clean up the mess. Covert CCTV should be used where ever they are to identify the offenders. They have criminal’ s who are wanted who hide among them they use different names on a daily bases. 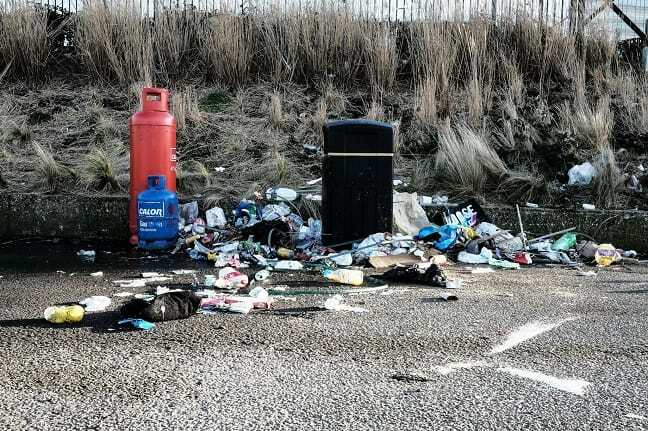 It is because the council / police has been so soft with them that has encouraged them to keep flitting from one site to another site making the disgusting mess as they go. Our streets are not being swept streets cleaners have been laid off because of budget cuts yet our council Tax is being wasted on cleaning up after these jokers. They treat the council police residents and environment with complete contempt. You refer to “they” Do you think these are the same people all the time..you have evidence that’s the case if you do? Or are you allowing your prejudice and bigotry to supersede your commonsense. The Authorities are bot being “soft”. They use all the powers they have available. 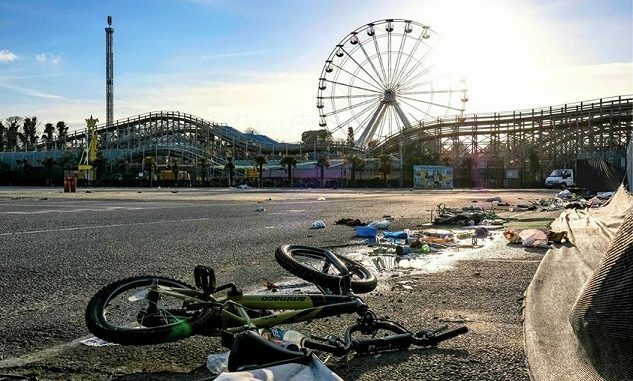 The travellers at Dreamland turned up on 4th Jan: they were served with an eviction notice just 7 days later. There’s no doubt that the law needs to be changed (And, apparently, it is). But the Authorities can only work within the framework of the rules and regulations. I guess I take a dim view of the idea that Las should be required to stump up special facilities for travellers. If they want land for a permanent site, then buy it! It’s like I said yesterday, I repeat here: Another year and we are off to a good start. How many incursions last year? Dozens, each costing the tax payer for court costs and enforcement by police, and council inspections for well-being. No wonder the council need more savings on other essentials. The costs should be claimed back from those not moving on when ordered to. Clamp the vehicles and tow them away until the fines are paid, just like anyone else having have to cough up. Stop allowing this blatant discrimination of law-abiding people to look after those who have total disregard for anything lawful. Untaxed vehicles, fly-tipping, door-to-door conning of the elderly with fake roofing claims, teenagers running riot, not at school just to name a few. We don’t want any free traveller sites in Thanet which they can stay in for months then trash and expect to receive free services on us. Use those court orders to stop them travelling from one car park to another then back again. Charge them for illegal entry onto private estates by breaking-in. Criminal damage, whatever and make them pay instead of pandering to them. I think this was fair to say considering how annoying this has become. Ate you going to repeat yourself on every article about these or other Travellers? You comments are really not that great and go against the changes taking place in Thanet ie the growing diversity of the communities in Thanet. Time for you and others like you to sell up? There was not much rubbish left behind! Seem much more on the beaches and streets are a festival or weekend. I’m sure the police will take on your advice regarding untaxed non-insured cars..they probably never thought of checking the vehicles. People using vehicles for work would be very silly not to have them taxed and insured. Doesnt seem to be many clamped Traveller vehicle s yet many non-Traveller vehicles clamped all over Thanet. DVLA licenced companies make a fortune out of Thanet and its non-Travellet residents..nows there’s a thing. There does not seem to be tonnes of waste in the pictures! Perhaps the council will produce an invoice to see just how much waste was removed or perhaps the newspaper decided to down play the rubbish left with their pictures. Is that likely? 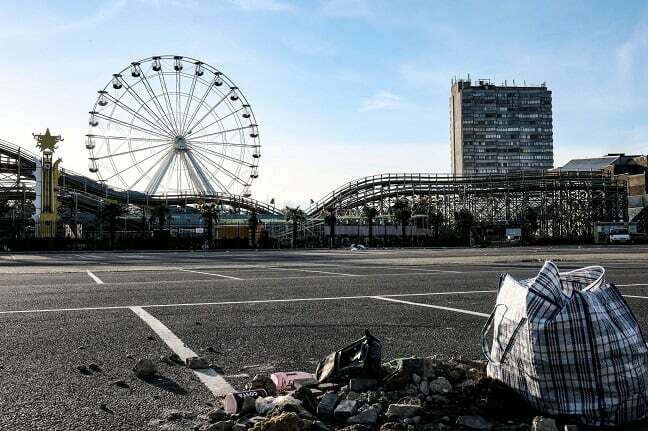 “Thanet council says it is pursuing enforcement action against a Traveller group which left tonnes of rubbish at the authority owned car park next to Dreamland.” .. is what it says at the top of the piece. Your rose-tinted spectacles seem to be impeding your ability to read. I worked for Kent County council. They have departments of people in various office’s all over Kent with a huge amount staff for the traveller community. Complete waste of Tax payers money. They dont care about a solution to the problem they just sit back and fire fight the situation. You need to wake up KCC . head and sand comes to mind .